I can give your curtains a new lease of life. I am a mildew removeal specialist­. I can come and collect your curtains, wash them and bring them back looking and smelling like new. I have a overnight service. 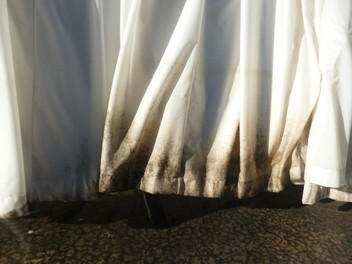 Cleaning and removal of mildew from curtains and roman blinds. Your curtains are hand washed and dryed outside in the fresh air. They are then pressed and ready to be rehung.